Like MeAndMcQ? Click here to view the entire range. 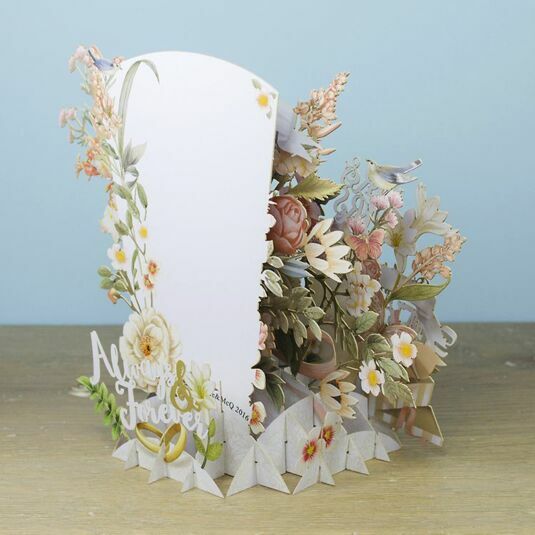 Between these heartfelt words can be seen an abundance of flowers in pretty pastel shades, with butterflies and birds, a dainty white shoe and a top hat and a pair of gold wedding rings, eternally linked together. 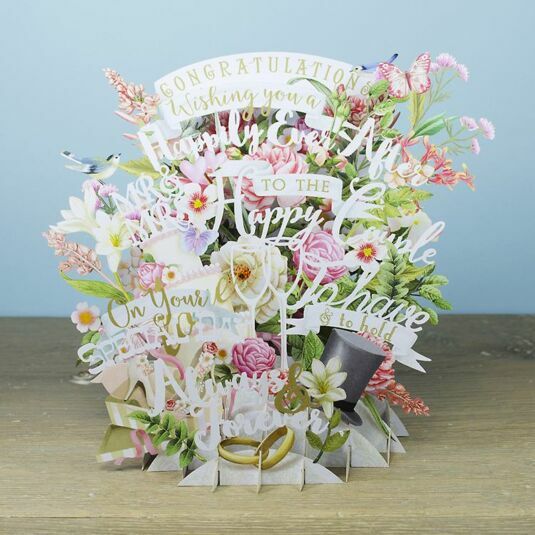 This card could not be more romantic and is literally packed with wedding day imagery! 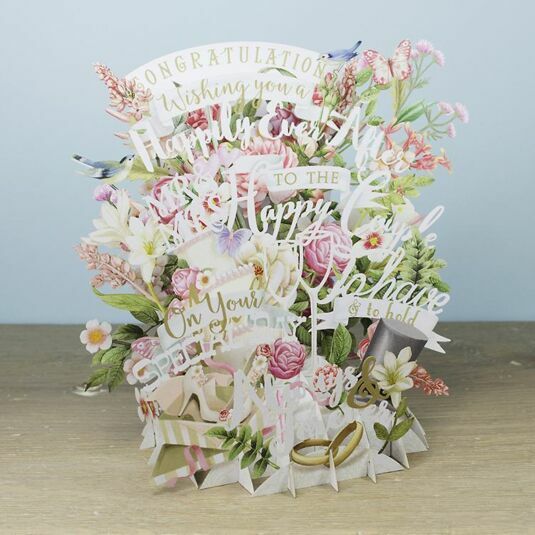 The images are on separate layers which are interlinked and pop up to portray a three dimensional celebration of big day, yet the card can be folded flat to fit in the white envelope which comes with it. On the back there is plenty of space for a message. Anyone who receives this card will want to keep it on display! 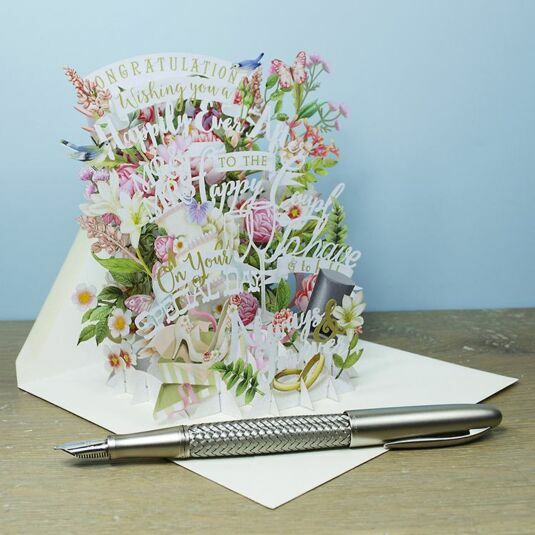 This wonderful card is perfect for a special birthday and a will make anyone who receives it feel on top of the world! 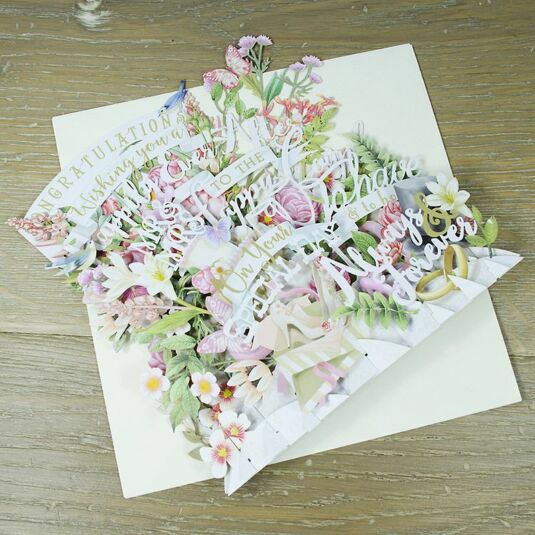 Precision cut by laser, this card is an incredible feat of paper engineering. 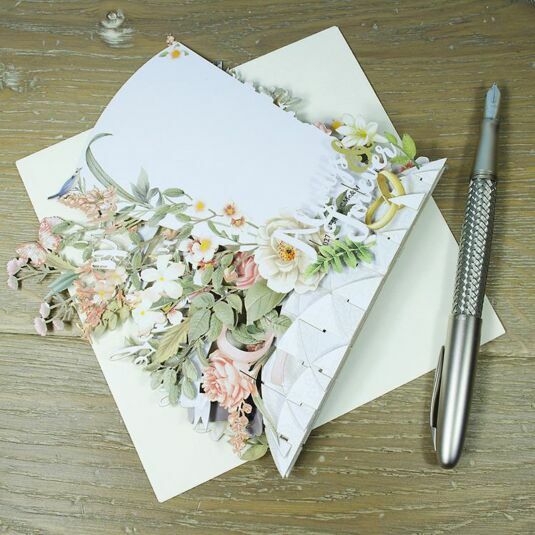 Folded flat, it fits perfectly into the envelope provided and can be sent at the UK letter rate for postage. Opened up, it reveals multiple layers of artistic detail, creating an amazing adornment for mantelpiece or shelf. No assembly required.